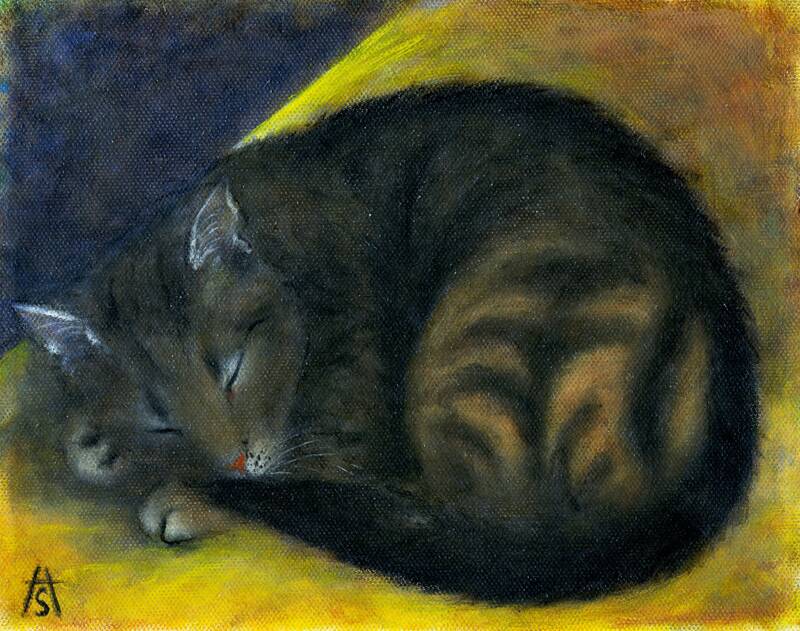 Inspired by a painting of a tabby by Renoir. 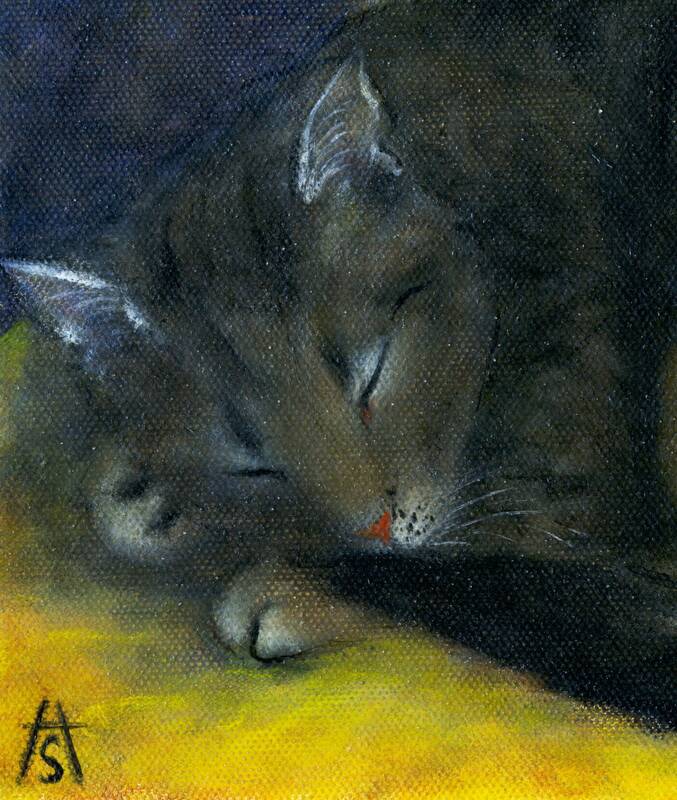 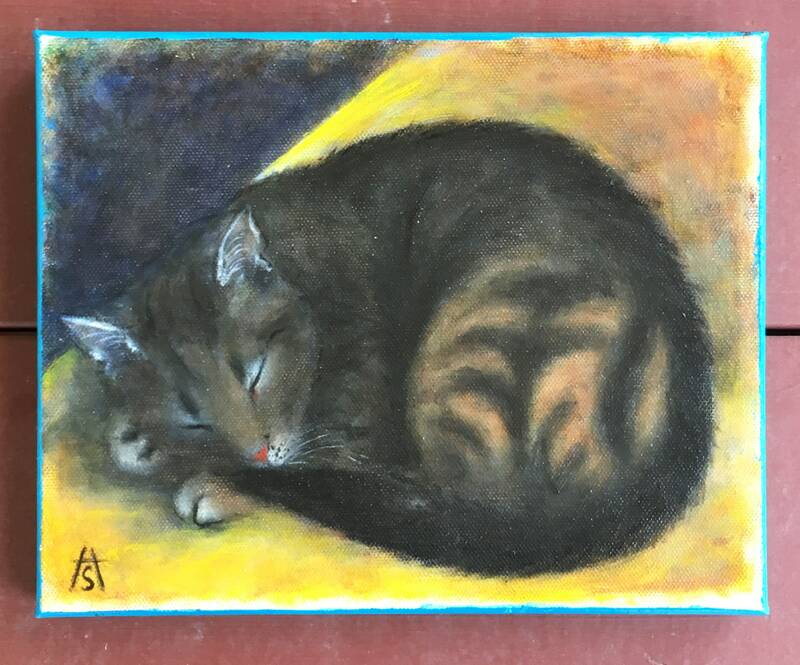 "Brown Tabby" is an original oil painting on a 8 x 10 inch stretched canvas, completed in March 2019. 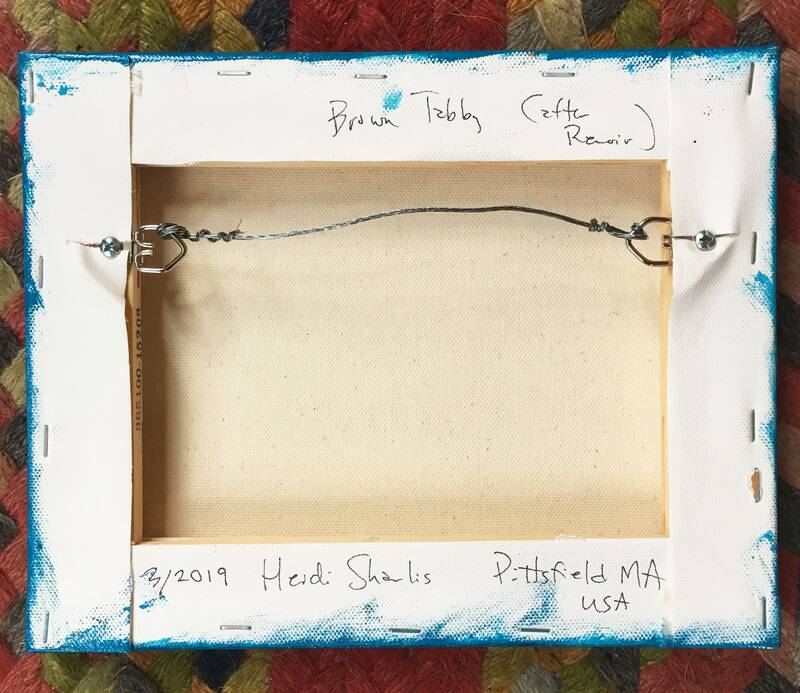 The gallery-wrapped edges of the canvas are .75" deep and painted blue. 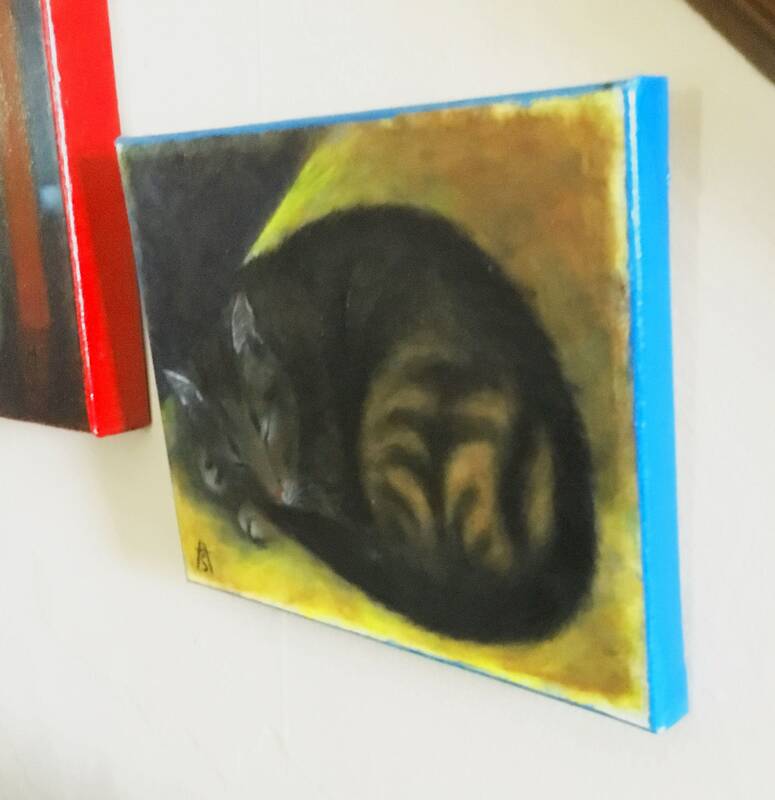 The back is wired so you can hang it right up as soon as you unwrap it!